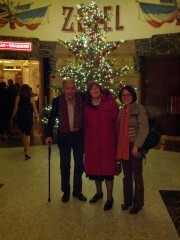 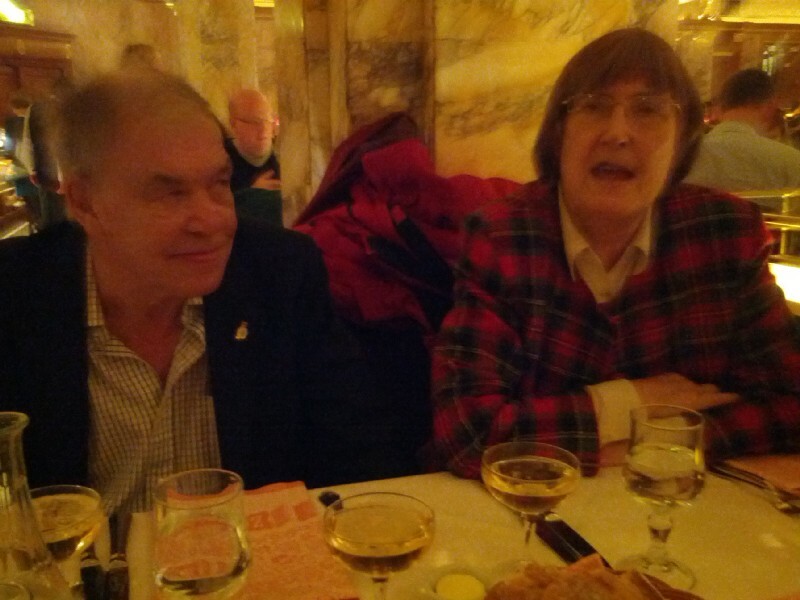 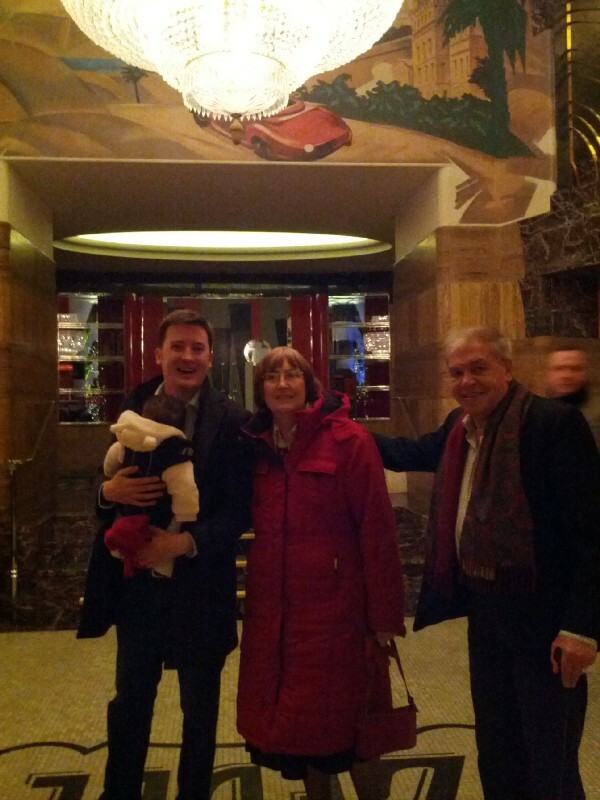 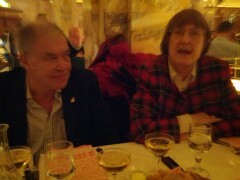 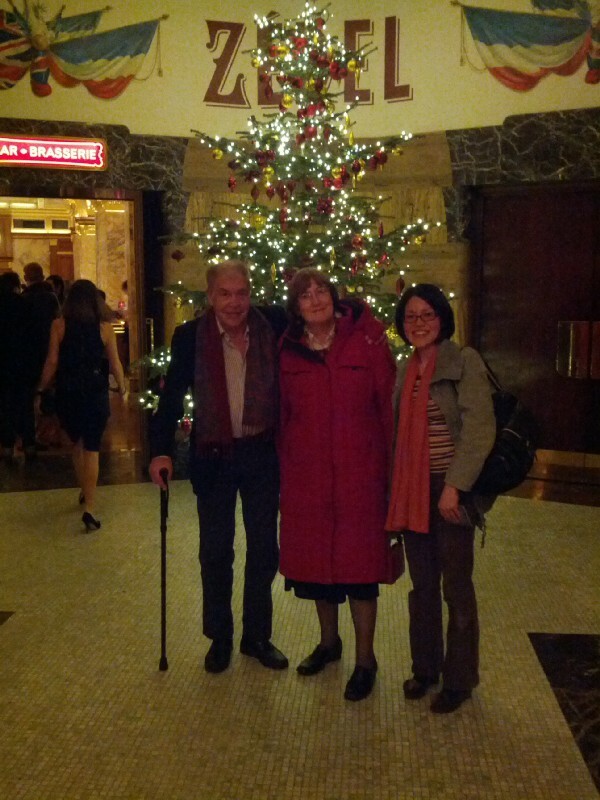 Mum and Keith arrived this afternoon, and in the evening we took them to Brasserie Zedel for dinner. 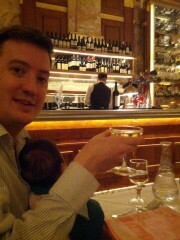 I forgot to take my camera so we had to make do with some less than ideal shots from my phone. 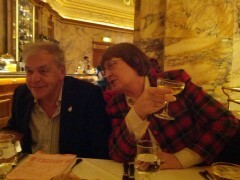 Me, Erika and a coupe of Pol Roger. 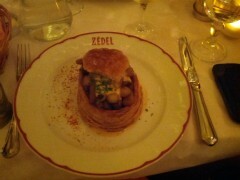 My main course - a vol au vent. 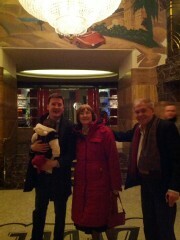 As we were leaving, in the sort of lobby on the way into the brasserie. ...same again after swapping plaecs, and facing the other direction.